Ah, who doesn’t love a nice, delicious breakfast in bed, with a cup of hot coffee and a glass of orange juice? And who doesn’t love trying to remove juice stains from a mattress costing $2,000? No one. No one loves that. So, to save your mattress from being soaked and you from emptying your wallet when buying a new one, I’ve gathered 9 top mattress protectors. Let’s see, which one can become the best safeguard for your bed. Polyurethane VS. Vinyl: Which One Is Better? 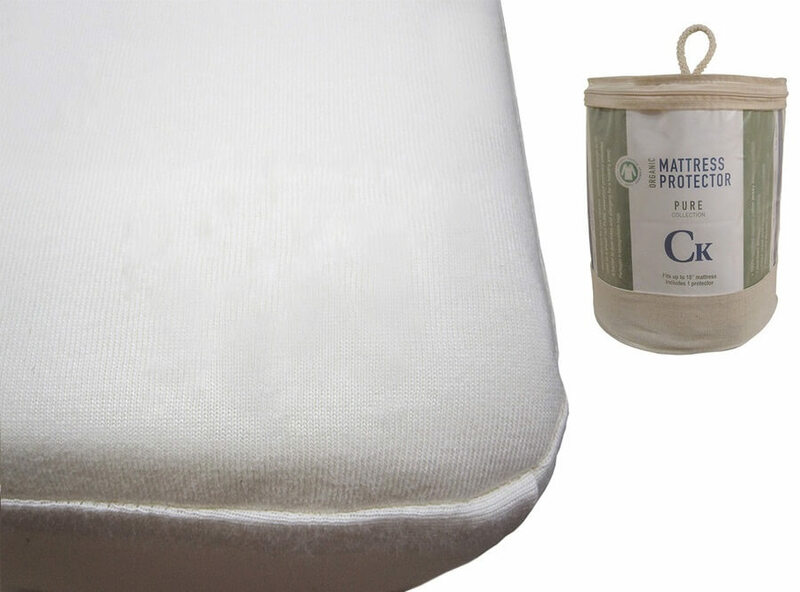 DreamCool Mattress Protector Natural cotton, 100% waterproof Not Returnable under free trial. 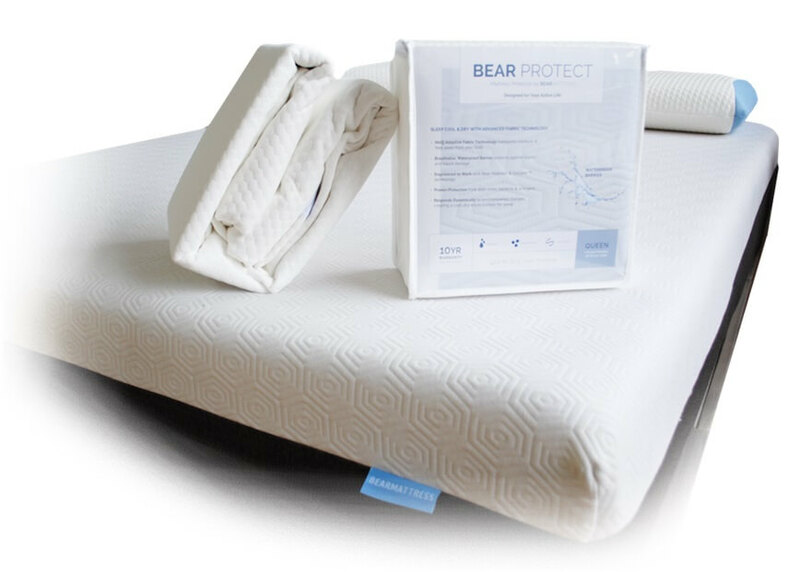 This model is called “Bear Protector” for a reason: it will protect your mattress from stains, liquids, and dust as fiercely as a mama bear protects her cub. It can be called a really good mattress protector simply because it does its job, and it does it well. This product offers a combination of great features, which can buy almost any user over. It is durable, waterproof, comes with a good warranty, and offers a rather flexible use since it is suitable for many different mattresses (up to 20 inches tall!). It features the HeiQ Adaptive Fabric Technology, which makes the protector super breathable and moisture wicking. It can fit mattresses that are up to 20 inches thick. The materials used include polyester, polyurethane, and cotton. The manufacturer offers a 10-year warranty. What is really great with that mattress protector? The best thing about this model is the fact that it’s 100% waterproof and breathable at the same time. It’s not a piece of plastic, which will keep your mattress dry but will also make you sweat every night. It actually helps with temperature regulation while doing a great job, protecting your mattress. What is wrong with that mattress protector? The worst thing I’ve noticed about this model is the crinkly sound it made for the first couple of nights. Even though it’s not a serious issue, some people might find it irritating. Just a heads-up for you. Overall, I’m very happy with this mattress protector. It is soft, easy to clean, and does its job quite well. This protector is safe to use, very pleasant to the touch, and waterproof. This item is suitable for people who have sensitive noses or allergy-prone users. Additionally, it is a great option for those who want a waterproof protector, which does not make that annoying crinkly sound. The top layer and the skirting are made of organic cotton, which is GOTS (Global Organic Textile Standard) certified and super soft to the touch. The waterproof layer is made of polyurethane, which is very thin and doesn’t make any noise. It can fit mattresses up to 14 inches thick. The manufacturer offers a 5-year warranty. What is really great with that model? The best thing about this mattress protector is how safe it is to use. There are no dyes, chemicals, or any other harmful components. It doesn’t smell like plastic. And yet, it effectively prevents the liquids from soaking the mattress. In my opinion, that’s all you could wish for in a mattress cover. What is wrong with that model? The worst thing about this cover is the fact that its sides aren’t waterproof. It’s not really a huge issue, but some people might find it disappointing. This is official: I am now a fan of this model. It is very effective, safe to use, smooth to the touch, and odorless. I’m sure you will love it as much as I do. Another product that can be called the greatest mattress cover is this model by Brooklyn Bedding. It is soft, breathable, and waterproof, which is more than enough for a good protector. Its cotton terry top is great at moisture wicking and super pleasant to the touch. And because the mattress protector comes in various sizes, there’s definitely an option for the particular mattress model you are using. The cover fits the majority of mattresses perfectly. The surface of the cover is made of cotton terry, which is soft to the touch and breathable. The waterproof layer doesn’t crinkle or make any other noises. It is machine washable and won’t be hard to clean. The coolest thing about this model is, of course, the value for money that it offers. Being very reasonably priced ($37 for the Queen size), it comes with a set of nice features. It is waterproof, easy to fit onto the mattress, flexible in terms of mattress sizes and thickness, and even hypoallergenic. The worst thing I’ve noticed about this model is the feel of the material. First of all, it’s rather thin, so if you’re expecting some sort of padding or cushioning, you won’t get it. Moreover, the top cotton layer feels a bit harsh, almost paper-like. Maybe it will become softer after the first wash, but for now, it’s not that plushy. Despite some minor complaints, I am quite happy with this cover. It does its job well, so I’m sure it won’t disappoint you either. The manufacturer was probably designing this product aiming for it to become the top-rated mattress protector on the market. It is pleasant to the touch and does its job without fail. Additionally, it can be called the great encasement thanks to its smart construction. The use of nylon, polyester, and thermoplastic polyurethane results in a nice cooling effect. The surface of this cover feels fresh and even a bit chilly. Add some breathable bed sheets, and you most definitely will not sleep hot. It is made of the combination of polyester, nylon, and thermoplastic polyurethane. It works like a fitted sheet and is suitable for the mattresses up to 18 inches thick. It is machine washable and can be put in the dryer as well. The best thing about this protector is the cooling effect. It feels cool even through the sheets. Therefore, if your mattress makes you sleep hot, this cover will help with temperature regulation. Using this cover and a great cooling pillow is the most effective way to decrease the body`s temperature. The worst thing I’ve noticed about this cover is the off-gassing. When I first opened it, it smelled like plastic. I had to wait for approximately two days before actually using it to let the smell air out. This mattress protector managed to impress me. It’s not only waterproof but also cooling, which is a very compelling feature. It is made of cotton terry and waterproof Stratosmart Barrier (polyurethane). It can fit the mattresses up to 22 inches thick. The manufacturer offers a 15-year warranty. 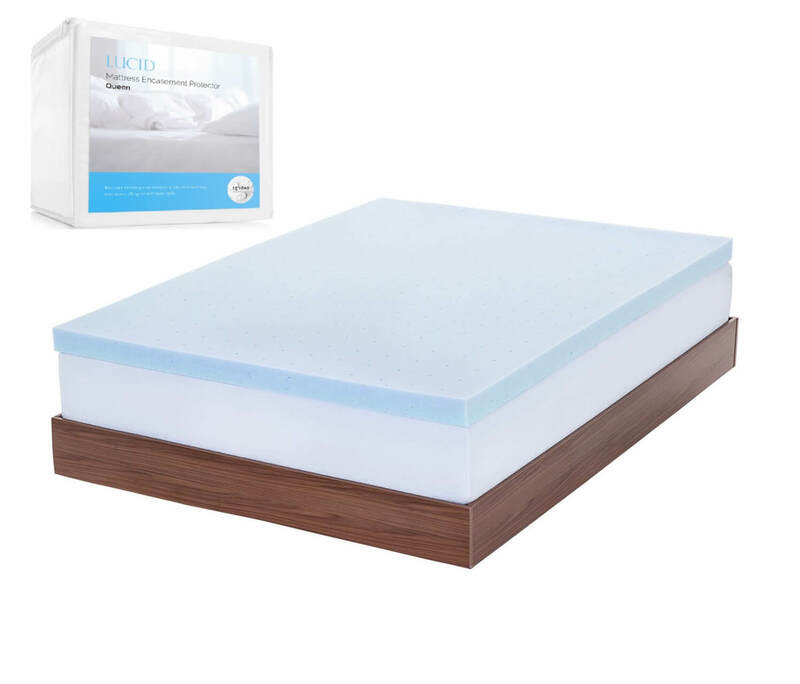 If you are looking for a good mattress protector but don’t feel like investing too much in it, you should definitely consider Lucid. It works with the majority of mattresses, so you will not be disappointed with your purchase. 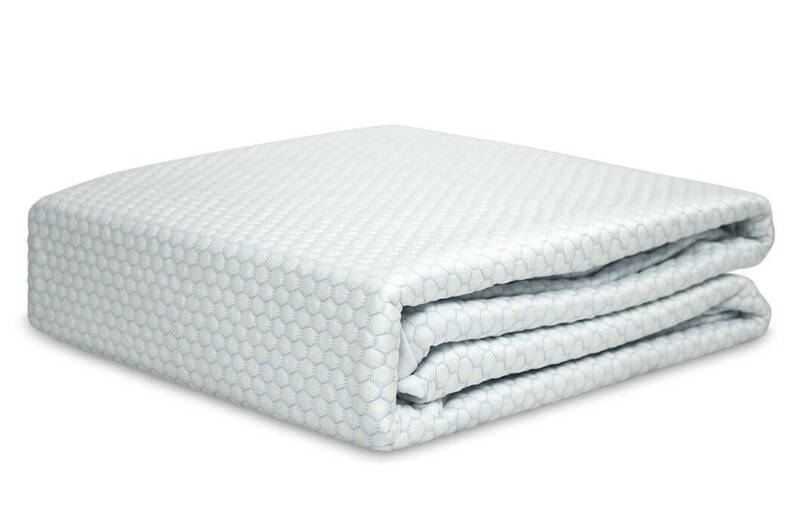 Additionally, the protector has a breathable cotton top and a waterproof lining, which means it is soft to the touch but can effectively protect your mattress from the accidental spills. The blanket comes in 9 sizes. It is made of soft and plush polyester. The absolute best thing about this cover is the fact that it really works. It just doesn’t let the liquid go through. And it gets better: while being 100% waterproof, it doesn’t feel like plastic and doesn’t make that crinkly sound. To me, it’s a win-win! The worst thing that I’ve noticed about this bed protector is the fact that its sides aren’t waterproof. This can become a big deal for people whose pets sometimes cause “accidents” or, for instance, whose small children like to crawl into the bed with their juice or water. In general, I am pretty happy with this cover’s performance. I’m sure it will effectively protect your mattress from major spills as long as those occur on the top of the protector. This protector can easily be called the greatest mattress cover for a number of reasons. It works, it is easy to clean, and it fits onto almost any mattress without fuss. Additionally, because this is a fitted sheet model, it makes the highest rated mattress protector for memory foam mattresses. You see, the full-encasement protectors require you to lift the bed, and we all know that dense foam mattresses can be really heavy. 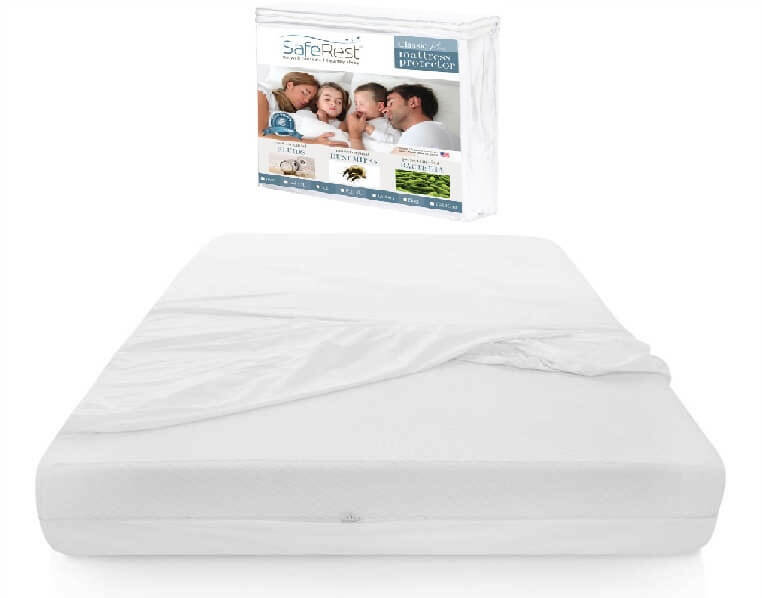 However, with this model by SafeRest, you can easily place it on your bed without the need to lift the mattress. It is made of cotton and polyurethane, which allows it to retain liquids while being soft and pleasant to the touch. It features a fitted sheet design and is suitable for mattresses up to 18 inches thick. It is machine washable, which makes the cleaning process fuss-free. The best thing about this mattress cover is a simple fact that it works. The surface of the cover won’t let the liquid leak through, which means you can feel safe about your mattress and its lifespan. The worst thing about this protector is the fact that it’s not 100% waterproof. Unfortunately, the elastic sides don’t have that additional polyurethane layer, which means your mattress won’t be 100% protected. It’s not a big deal if you don’t have small kids or pets, but it should be taken into consideration. Despite its minor flaws, this mattress protective cover made a good impression on me. It works and feels nice. Moreover, thanks to its design, trying to fit it onto the mattress won’t cause any troubles for you. The next item on our list deserves to be called the most appropriate mattress protector for allergies. It is safe for people with sensitive noses thanks to its natural cotton top and bacteria resistant materials. Additionally, it is soft and smooth to the touch, which means this mattress protector will not annoy you or irritate your skin. It works with deep pocket mattresses up to 15 inches tall. Obviously, the coolest thing about this model is that it’s safe for allergy-prone people. Its top layer is 100% natural, breathable, and allergen-free. Additionally, this mattress protector doesn’t have any odor or unpleasant off-gassing, which means it is safe for your sensitive nose. The absolute worst thing about this cover is that is doesn’t really sleep cool, despite what the manufacturer promises. This mattress protector is neutral or even warm, but not cool. Therefore, when using it, you might want to turn your AC on if you hate sleeping hot. Even though this model is not perfect, I am sure it is suited for many users, especially allergy-prone people. 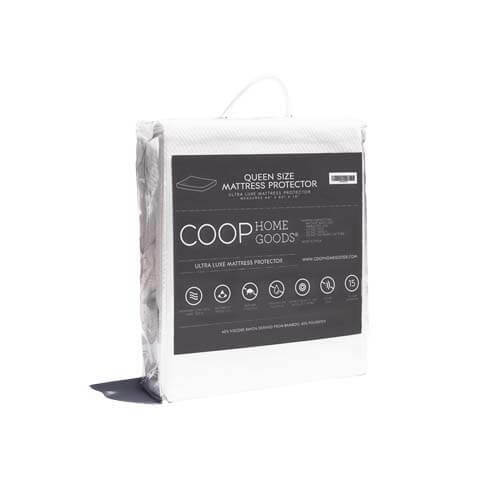 If you are looking for a waterproof mattress protector, you should definitely consider this item. It features an effective combination of materials, which results in it being 100% waterproof without feeling too thick and having that unpleasant plastic feel. The best thing about this product is that, while being 100% waterproof, it doesn’t feel like it. This mattress protector doesn’t make any crinkly noises and doesn’t feel like plastic. It is soft and pleasant to the touch, which means you won’t even notice it’s there. As for the drawbacks, the biggest one is that this mattress protector might make you sleep hot. Even though bamboo viscose is breathable and the manufacturer promises a cooling effect, somehow this mattress protector only adds warmth to the bed, which means it’s not suitable for people who hate sleeping hot (and for foam mattresses, for that matter). Despite some flaws, this mattress protector is a real lifesaver when it comes to accidental spills. It will definitely keep your mattress fresh and clean for years to come. Some people might think that picking a mattress protector isn’t that hard and does not require you to be meticulous. However, we believe that a mattress protector is a very important accessory that can play a huge difference when it comes to preserving your expensive mattress. Therefore, we are extra attentive when picking the most suitable items for you. Available sizes. Not all protectors offer a wide range of available sizes. We try to pick only the ones that offer flexibility in use and come in all the common mattress sizes so that you could find a suitable model for your particular bed. Fit and design. Some covers are styled like fitted sheets, others come in a full-encasement form. Some models even feature some extra straps or strings to keep the protector in one place and prevent it from slipping off your mattress. Whatever the case is, we always pay our attention to the way a mattress protector is designed and how it fits different mattresses. Materials. The quality of the materials determines the protector’s durability, the way it feels, and how it performs. We try to pick only the time-tested, reliable materials. Noise levels. Some people don’t care whether their protector makes a crinkly noise, others want to sleep on a silent surface. We try to pick only the quietest or completely noise-free items, which will not disturb your sleep. Washing and care. Because a bed cover serves to keep the liquids and dirt away from your bed, it needs to be easily cleaned. We give our preference to machine washable protectors since they offer the easiest, most fuss-free cleaning process. If you think that buying a mattress protector is an unnecessary expense, think again. This simple accessory can offer you many benefits. Keep the mattress fresh and clean. This one reason should be enough for you to invest in this thing. It will keep the liquids, dust, and other dirt away from your mattress materials. Whether you enjoy breakfasts in bed or have little kids or pets, a good bed protector will keep your bed fresh and feeling like new for a long time. Besides, with a mattress protector, cleaning is so much easier. Prevent the dust mite allergies (and other allergy types). 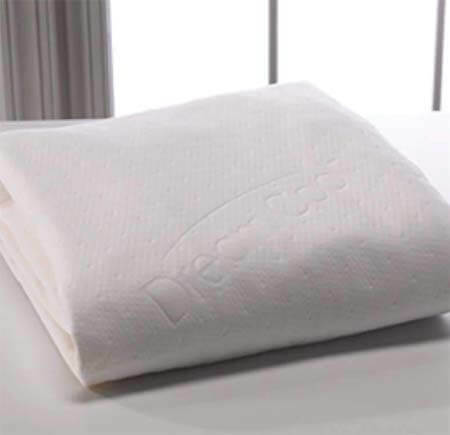 If you are prone to allergies, investing in a hypoallergenic mattress protector will prevent the dust mites or debris from building up inside your mattress materials, thus saving you from those nasty allergy symptoms. Enhance the comfort of your mattress. Of course, this will depend on each separate protector type. 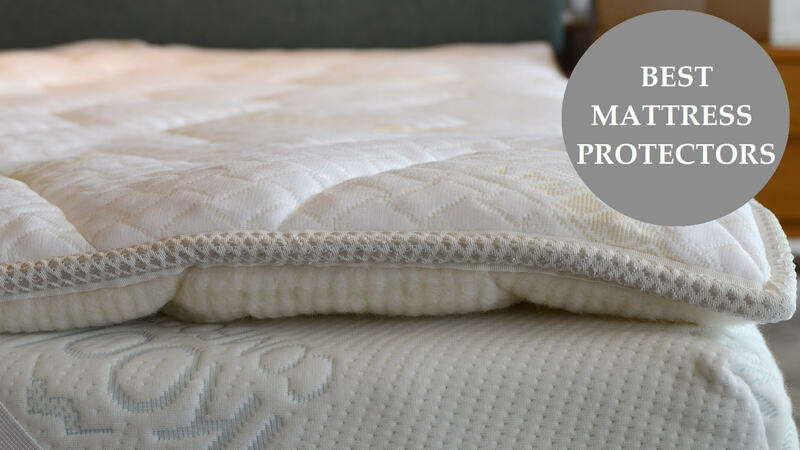 However, keep in mind that, for example, a quilted mattress protector can add an extra layer of softness to your bed if you need your mattress to have a more plush feel. Protect the warranty. If your mattress gets stained (or even worse, moldy), this can make the warranty become invalid, which means your bed will not be protected by the warranty conditions anymore. Listen, I know: shopping can either be pleasant or drive you insane. With the mattress covers, the second one is more possible. 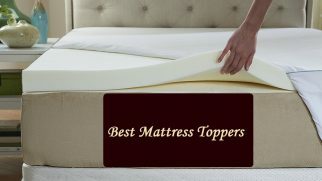 The number of the mattress protector reviews, specifications, and loud advertisements can overwhelm and even mislead you. Size. This criterion is obvious but nonetheless important. Some manufacturers make covers different in size, so, instead of simply ordering a Queen protector for a Queen mattress, read the measurements first. Just to be on the safe side. Breathability. Waterproof covers tend to sleep hot because of that liquid retaining layer. However, some of them allow more breathability than the others. For instance, polyurethane protectors, especially when combined with the cotton or bamboo top layer, are more breathable than the vinyl ones. Design. Mattress protectors can be full encasements or styled like a fitted sheet. If you want protection from bed bugs, an encasement style is the one for you. However, if being waterproof is all you’re expecting from this thing, the fitted sheet type will be more than enough. Washing method. Since a mattress cover is supposed to protect the mattress from stains, it will collect all of them, therefore requiring to be washed regularly. If the materials of the cover don’t allow you to use a washing machine, the cleaning process can turn into a real headache. Vinyl protectors are super reliable, as this material is rather thick and doesn’t allow any liquid leakage. It is also very effective when it comes to stopping the dust mites and the bed bugs. However, vinyl is a rather loud material, which makes a crinkly noise every time you touch it. It’s also not really breathable, so it might make you sleep hot. Polyurethane is thin and noiseless. It is breathable and effectively stops the liquid from leaking. However, being a super thin material, it might allow some leakage after being washed a couple of times. After testing out more than a dozen of mattress covers, I feel like my mattress has never been more protected. To make you feel the same way, I’m ready to announce the best waterproof protector, which will certainly increase the lifespan of your mattress. And the most effective one, in my opinion, is the Plushbeds Organic Cotton Mattress Protector. Are you wondering why? It’s simple: this mattress cover is safe to use, has a really pleasant feel, and excellently does its job at protecting the mattress from liquids and stains. With this mattress cover, you don’t have to worry about breakfasts in bed getting out of hand. Now, what about you? Have you chosen your personal favorite yet? Please share your opinion in the comments. I cannot tell you what a life-saver mattress protectors are. We have kids and pets and learned the hard way the damage that occurs to a mattress without one. Now we keep a few around to change them regularly. I have to say, my mattress is lasting a lot longer WITH one than the one that didn’t have one! Just purchased plushbed mattress protector not quite long ago, it’s soft has a lovely feel. Am yet to share my experience. I was damn surprised to see it fit my large mattress. It’s cool i have a 5-years warranty. All thanks. I hope to enjoy it. The easy-to-wash Brooklyn bedding protector has given me much confidence that no matter what the stain entails, I’ll always get them cleaned. Juice stains got me scared previously, but it was quite quick to wash off. Got a good mattress protector. My bedroom has a new and appealing look now. Nest bedding mattress protector has the qualities I so desire in one. It isn’t any surprising thing that my allergy has kept in a state of steady selection of mattress protectors. 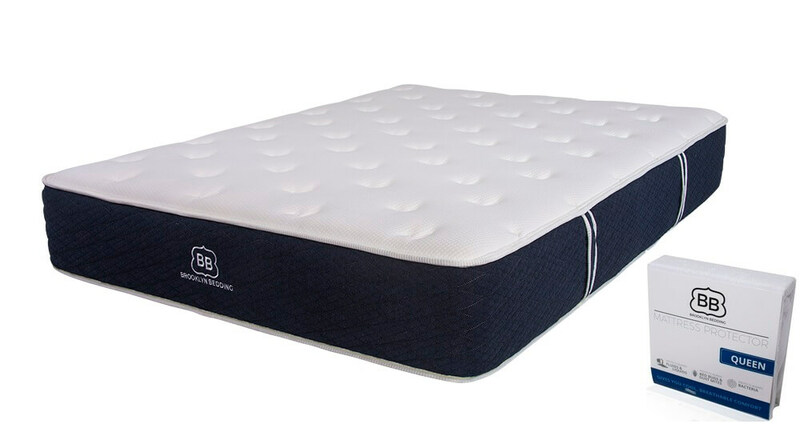 Plushbed pure cotton mattress is quite good for me, its soft and water resistant. I have been buying several mattress protectors and they kept chocking me, this seems to be my last resort.